Above: Ron Carrick has Garry Briggs and Paul Borg following in line. Ron finished 4th in the first race but was a non finisher in the others losing the Motolite championship lead to Michael Carruthers and Ken Lawrence. 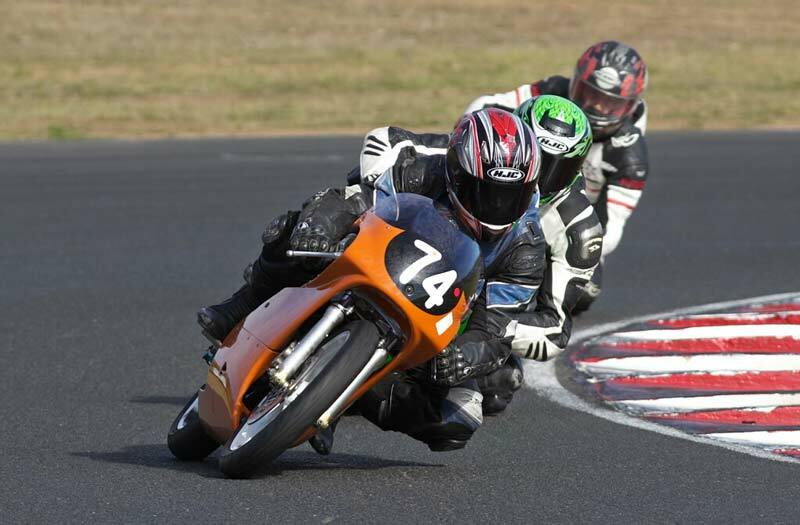 Above: Garry Briggs (Big Bang Engines RS150CRF4V) was in fine form at the creek winning all 3 Motolite races. 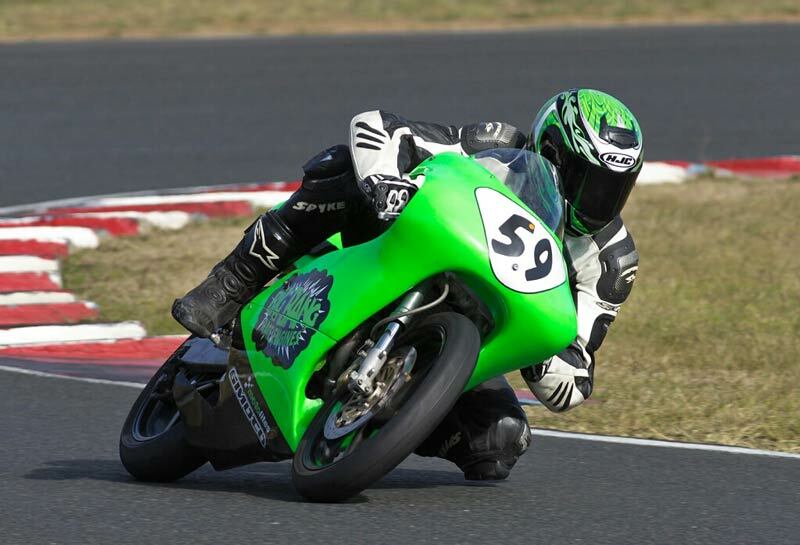 He is 4th in the Motolite championship with 175 points 31 points behind Michael Carruthers. 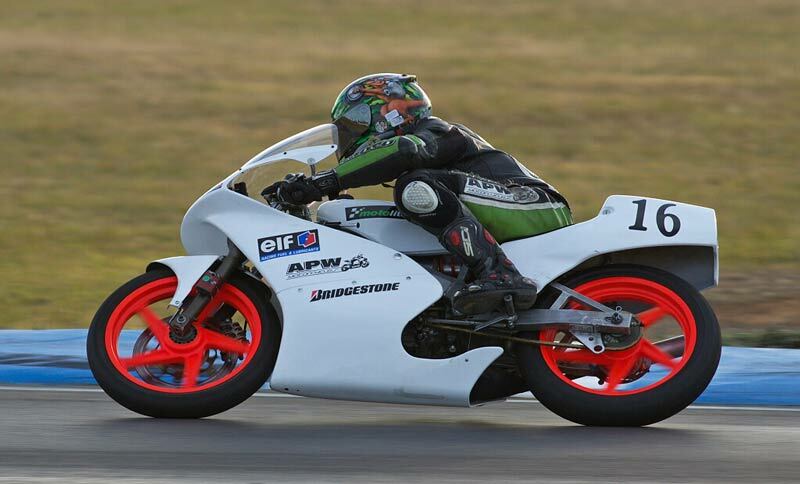 Above: Michael Carruthers had two 3rds and a 2nd place on his APW Motorcycles RS85CR Honda. 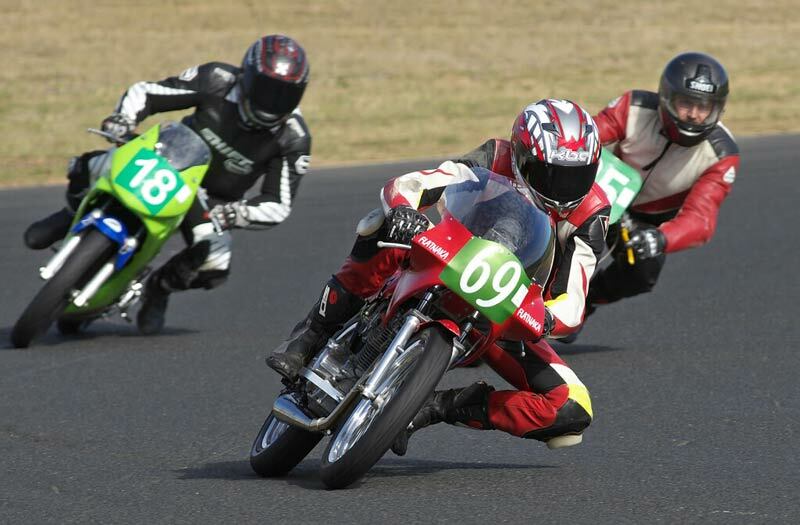 He now leads the Motolite championship by 2 points over Ken Lawrence. Should be a humdinger at Broadford. Above: Walter Murphy had two 2nd and a 3rd place maintaining his lead in the amateur Superlite championship with a 30 point advantage over Adam Muldoon. Above:#69 Ian Gregory Had a win a 2nd and a DNF losing the Superlite Pro championship lead to Jeff Clissold by 10 points. Still very close. 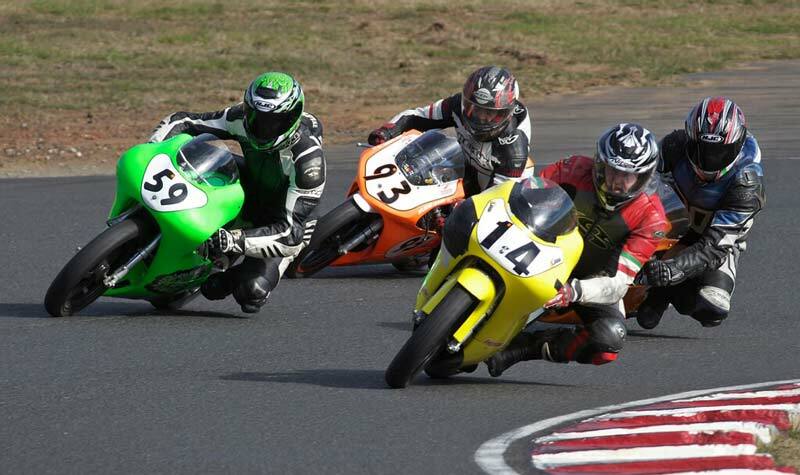 Here Ian leads #18 Brian Mowle and #25 Fred Holland around turn 2. Fred is third in the Superlite Pro championship. Above: Heavy traffic at turn 2, #14 Ken Lawrence just leads from Garry Briggs, Ron Carrick and #93 Spooky. 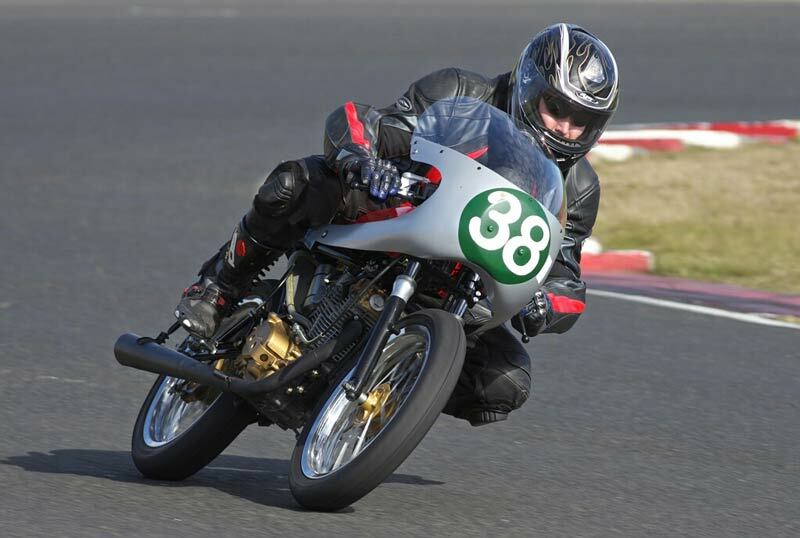 Ken lies 2nd in the Motolite championship just 2 points behind Michael Carruthers.